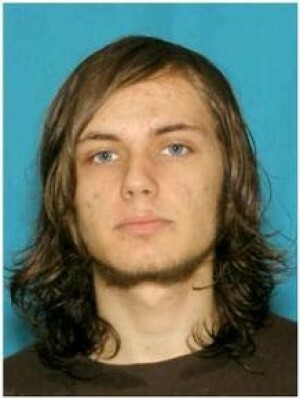 Robert “Bobby” Sine, 18, was last seen at about 9:30 p.m. Feb. 6 when his mother was driving him home from the Skagit Valley Hospital emergency room after a “psychotic break.” Near the Division Street Bridge, Sine jumped from the car and was last seen on foot near the riverbank and boardwalk, according to Mount Vernon police." I have a request to look at Tarot for Bobby Sine which I believe is a family request. Please remember to read all the notes printed before the published Tarot. Tarot gives information past present and future that could be possibilities to assist. Tarot is not accepted as 100 per cent accurate by law so please always go to factual sources for information. Tarot may take into account known past events and they may show up in the reading. Bobby has been missing since February 6th 2012. My first question is to try to find out what advice Tarot will give around that date. The first card I have for Bobby is the reversed Emperor. I never quite know whether everything will glue together with the Tarot but I just give exactly what I have received and leave it hoping it might help in some way. This reversed Emperor is not a great card. Nobody wants a set of reversed Major cards to begin a tarot but we do have this first of all. This card is giving a 'control freak' which means that either Bobby is that way himself or that he felt that he was being controlled by somebody or a situation and resented this or that someone was coming across as strong and perhaps even abusive towards him. The Emperor card really can describe different types of people from Stepfathers, to fathers to people who are in authority, bosses etc, the main idea is that it is telling us about a situation where someone is in control or has authority over another and that appears to be the situation that I see here. There appears to be rebellion and resentment here towards anyone who is domineering. Perhaps with Bobby himself his emotions rule his decisions and Im not feeling that he is at his best when I see this card in this way. I see good advice being pushed aside and 'going against the grain' but whether that is bobby's feelings or not I cannot be sure. I just seem to sense that possibly what he wants and what he wishes seems to be under someone else's decisions. Bobby seems to have a lost a lot of confidence at some point. I feel as though there is some family interference here and that is not being negative to the family but could even be Bobby's viewpoint or perhaps just 'the way it is' - but I also seem to note a 'stalker' here which can suggest the feeling of being followed. Remembering that the Emperor can also be a very abusive and aggressive male element maybe that might come into play. I feel like Bobby wanted to 'escape'?? from someone, or a situation. There do appear to be hostile elements here. Were there any unhealthy associations around him? drugs drink or anything of that nature? Someone just cannot control their emotions or perhaps someone will violent tendencies. If there is a person connected here to Bobby they may have the following traits - redness is apparent in the complexion or hair or the complexion is well tanned. Lean body, long neck, large bones, not overly tall but strong limbs. Possible baldness or thinning of the hair. Pimples burns and scars show up here ? The direction that I have here is thought to be East but this could be name of a place and landscape or factors to take into consideration for either describing vicinity or have some other purpose is sandy and hilly ground, possibly newly built land or where construction work is taking place. Land where you might link sheep and small cattle or stables for small animals Lonely places where criminals find refuge. In houses - the ceiling, plastering or covering of the house. Brick foundaries, places near fire or sources of heat. A car can come up with the Emperor as a four door but the Number 4 should be taken into consideration. When asking a little about location of where Bobby might be I am given this card but whereabouts can reflect in the other two cards also so one has to be careful what order Tarot is giving us information. However, at first sight this card is giving West and seems to indicate friends or being in the company of others whether friends/family it could also indicate being in the vicinity of where friends or family may reside. The home town card would be a few cards away but here I have an M or W and water comes up here so perhaps somewhere there is a bridge or river is showing. Now I notice that the information we have initially shows Bobby getting out of a car near a bridge so this location or nearby seems to be showing itself here. There may also be a 'tree name' and maybe a small building? I feel 'across the water /river from home' is what I have. Water being the strongest influence here. I also have something about 'two people' who are missing? OR somewhere linked to the past. I do not know if it is connected to Bobby but I mention it because it can very well come up but I feel the vicinity he is in is familiar to him. Maybe Im wrong but thats how I would 'get this'. I see the word contained or container here. North also comes up here so perhaps the possibility of North West along with the sea, rivers and places near ponds or waters - brooks, springs, wells, wash-houses, sea shores, marshy land, etc. In houses it represents cellars, cisterns, bathrooms and places near water. This could form the 'name of a place' or be what is 'around'. I also see a 'garden' ? breast/chest stomach issues come up here and a weak constitution. Seeing someone with a bad cough or some form of digestive disorder. Im also linking to a female here. There may be something here about 'children'. There is a number 3 on this card and we should try to consider that it may have some significance. Asking when Bobby might be found we have the 8 of swords. Generally Swords are months though it can differ for various readers of Tarot but I have always held swords as that. This card is an 8 so we do have to think about the number 8. This card really may point out 8 months in actuality which might be October ( a significant month which also comes up as Halloween in the previous card) and September. Its possible that these two months could be important when searching for Bobby. Note that in this card we are bonded up with something so the feeling of being stuck or captured or in some kind of captivity shows up here. Water rocks and stone and even concrete can come up here but the feeling of 'not being able to move' seems to stick out to me. Water is in the ground before the figure on the card and behind some kind of castle which to me would be a 'building' or even ones own castle ( ones own home or where one would consider to be home OR a place of security). This card is like being in prison though. The next card shows mental illness, worry, insomnia and imagined horrors but it can really pull out ill health in a big way and a riverbank then comes up in the next card. There may be a railway or Hill in a name or actual landscape, perhaps even an airport in the distance. Im feeling that there are deceptions and some kind of trickery preceding this card and that there are two people who may know where Bobby is or that there is something connected to two other persons. This could turn out to be a situation that brings up legal matters eventually as Police can show up in these cards in the long run. Someone here wants to offer protection but Im seeing some big problems and possibly seperation and divorce? I have names like Black or something Black, Jewel, pearl, silver, all these things might show up. There has been some kind of fierce argument going on at some point and it may have ended in a tricky way. There may be church elements here also and I am beginning to think there are three people here whether that includes Bobby or not I cant be sure but I just write things down and hope somehow something might click. As this is the find card it can include information about searching and I just get the feeling that it is difficult to find Bobby but maybe he was 'found' or 'returned' at one point and somehow something has got very confused and rendered the search a bit powerless. I think to find Bobby it all seems to go back to the place that he 'got out of the car' because the 7 of swords asks me to return there. Again I could be very wrong but maybe there are some answers about that spot? I feel there are 'blocks' or perhaps obstacles to finding Bobby and some feeling of 'interference'? Things are definitely difficult and tricky. Im being given West again whether name, direction etc, and other descriptions to bear in mind are the following which could also describe vicinity or may be describing a name but we have to consider the words - Hills and mountains, high places, barns and storehouses for corn and grain. Libraries and studies, the walls of houses, the hall, playrooms, chests, drawers, and places where money is stored or kept, treasuries, purses. This may translate as BANK or a name/description with BANK in it. If there is a building we have to note windows or rooms that are light bright and airy like bedrooms because they are high up and we are looking at places that are high off the ground whether in name or actual. Unfortunately the run of swords does spell 'deceptive elements' therefore finding Bobby is lifting a few layers because that will be the only way to recover him. Description of a person on this card would likely be tall straight body, thinness, long arms, dark hair, good eyesight 'a good piercing hazel eye', quick reflexes and mental alertness. If I can think of anything else I will add to this brief overview for Bobby. Though not every detail can be guaranteed perhaps something here might be useful. Whoops! A slight typo error in my reading. 8 months meaning AUGUST or that maybe 8 might be of interest. Also to mention that it could also mean 8 months from time of missing or from time of this tarot. Indeed it might be suggesting AFTER August? The 8 may just be a stand alone number for route or distance. Whatever the case I just needed to make it clear that all these possibilities need to be taken into account. Perhaps something might give but I do think there is a problem in finding him. There is talk on Bobbys 'help' Facebook which could be news? Missing from Mount Vernon, WA Help Find Bobby Sine. Reports ... If you are a young man carrying a backpack in tne sedro woolley area this weekend, take off your hoodie. Sheesh. ... Potential Bobby sighting this week near Alderwood Mall. Potential Bobby sighting this week near Alderwood Mall. SKAGIT COUNTY FRIENDS! Sounds like we have a positive ID in Sedro Woolley last night! A young man picked Bobby up on Highway 20 and gave him a lift to Sedro, dropping him off at Liberty Bell Market. He has short hair now, and is carrying a backpack with him. He seemed confused, and a little dirty. PLEASE keep your eyes peeled for him! If you should see him, make contact. Say hello. Call 911, and then CALL ME. 360-840-3472. As soon as I saw Bobbys name in the side list, I saw an image in my head of what he looks like and was quite accurate(which shocked me)I believe he has taken it upon himself to leave his home. I do not claim to be psychic, it is just what I sensed after seeing his name and face. I think he has run away and does not want to be found.